BlueStacks today announced hitting multiple major milestones. The platform now counts 109 million downloads, with people consuming over one billion apps per month. 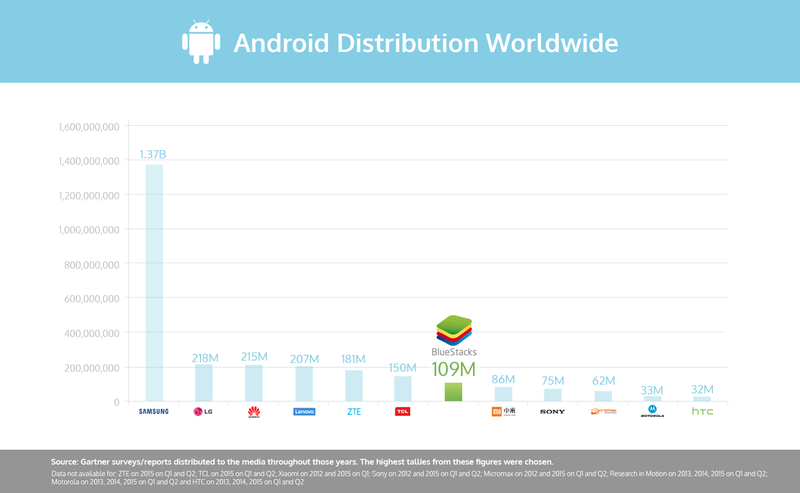 Its Android user base recently surpassed both Xiaomi and Sony to become the 9th largest in the world. It is quickly gaining on Samsung, Huawei and others. "I've watched this company come up as Android has come up over the years," said Tim Bajarin, an Analyst and President of Creative Strategies. "Both have exceeded almost everyone's expectations." 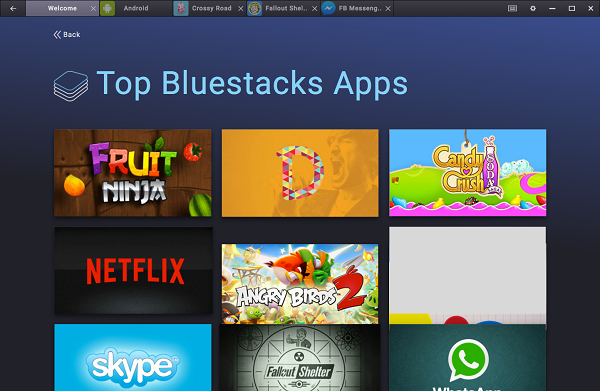 BlueStacks started its life as App Player, an Android Emulator on PC. It has now evolved into BlueStacks 2, a Mobile Gaming Platform that spans Mobile, PC and TV. The company, launched in 2011, now has over 100 employees and has raised $30M in funding from Andreessen-Horowitz, Intel, Qualcomm and others with Samsung the most recent investor. “When we started, mobile apps, with their crisp resolution looked and sounded gorgeous on PC and TV,” said BlueStacks Product Manager, Shashi Kant Sharma. “What we’ve learned is that the wider visual space lends itself more naturally to app discovery. It’s accelerated our growth and retention massively over the past year. The average Bluestacks user spends 89 minutes playing on their first day. In addition, once someone discovers apps on PC or TV they tend to use them across all of their devices, giving the BlueStacks platform powerful reach for developers." BlueStacks 2 adds several new features to marry gameplay and app discovery. For example, it has a new browser-like interface, where upon clicking an ad, a new tab opens where people can view the ad later without interrupting gameplay. This represents an entirely new type of ad unit. BlueStacks 2 also incorporates the ability to run multiple apps at the same time in different tabs for the first time ever. The company reports that many users are running messaging apps and gaming apps simultaneously.